Education: B.Sc, Pharmacy, preferably MBA with having 8+ years of experience in Pharma selling and 2+ years of working as SM level. We are currently seeking a young, highly charged, detail oriented professional for our IT & Network division. 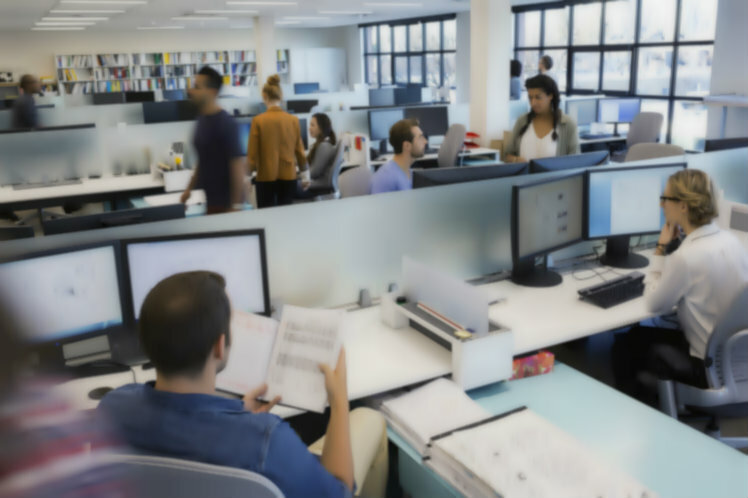 Suitable candidates will be required to manage the division with minimum supervision, maintain and manage the server, assist with troubleshooting and etc. Minimum 1 years of working experience in a Call Center / IT and Networks is a MUST. Familiarity with Cisco Router, Switches, Wi-Fi, Asterisk Call Center solution, etc. Knowledge of major user software installation and troubleshooting as well as hardware and peripherals. Complete LAN/WAN Management, Deployment and troubleshooting. Experience with IP Telephony, Network Security, Disaster Recovery. BCS, BSc, MIS, Microsoft or Cisco Certified with 4-year college degree preferred. Preference will be given to applicants with prior BPO or IT/Call Center company experience. 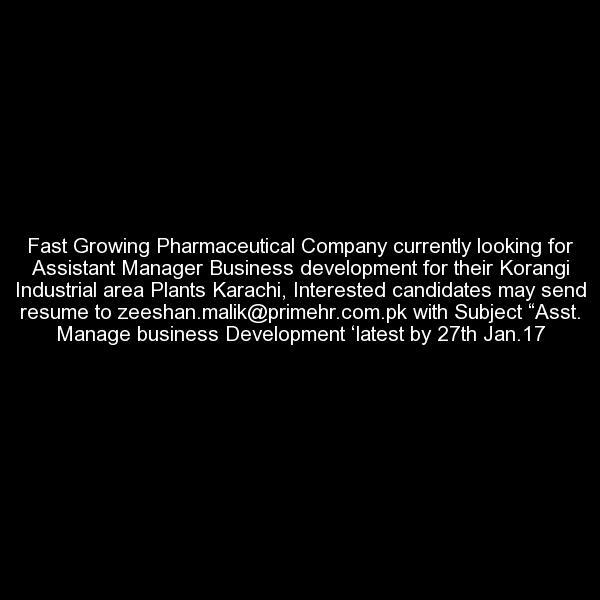 An expanding pharmaceutical company is hiring "District Sales Managers" for Karachi, Hyderabad, Sukkur, Larkana, Quetta, Lahore, Multan, Sahiwal, DI Khan, Gujranwala, Rawalpindi, Peshawar and Faisalabad. Educational B.Sc, Pharmacy (MBA - Preferred). Send your CV at jobs@hrways.co with subject "District Manager Sales"
We are recruiting for the position of Sales Associate (6 Positions) for our client operating in Retail (Pharmacy Chain) business. The incumbent should be Intermediate with 1 to 2 years of experience in a retail company. Our client is an Equal Employment Opportunity provider. Interested candidates can share resumes at info@solutioninc.co. Please ensure to mention position title in the subject line. The position is based in Karachi. We are recruiting for the position of Assistant Manager – Warehouse (1 Position) for our client operating in Retail (Pharmacy Chain) business. The incumbent should be a Masters degree holder with 4 to 6 years of experience in a pharmaceutical company. Experience of ERP is a must. Our client is an Equal Employment Opportunity provider. Interested candidates can share resumes at info@solutioninc.co. Please ensure to mention position title in the subject line. The position is based in Karachi. We are recruiting for the position of Pharmacist (5 Positions) for our client operating in Retail (Pharmacy Chain) business. The incumbent should be PharmD / B.Pharm with 1 to 2 years of experience. Fresh Candidates are also encouraged to apply. Our client is an Equal Employment Opportunity provider. Interested candidates can share resumes at info@solutioninc.co. Please ensure to mention position title in the subject line. The position is based in Karachi. 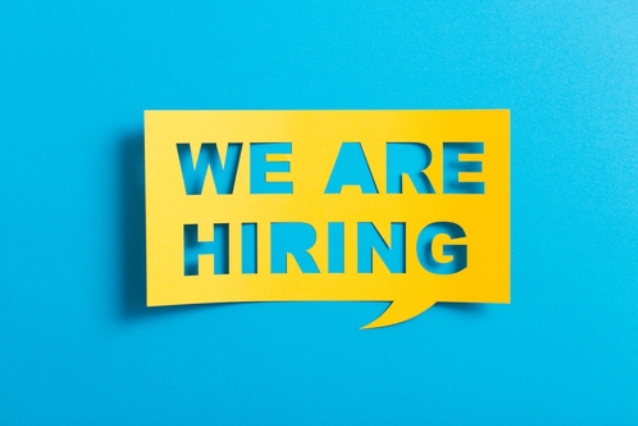 We are recruiting for the position of New Franchise Development Manager (1 Positions) for our client operating in Retail (Pharmacy Chain) business. The incumbent should be Graduate with 4 to 5 years of experience in new store/franchise development. Our client is an Equal Employment Opportunity provider. Interested candidates can share resumes at info@solutioninc.co. Please ensure to mention position title in the subject line. The position is based in Karachi. Pakistan's largest private sector life insurance company requires sales officers (direct sales )and sales managers for Karachi office. 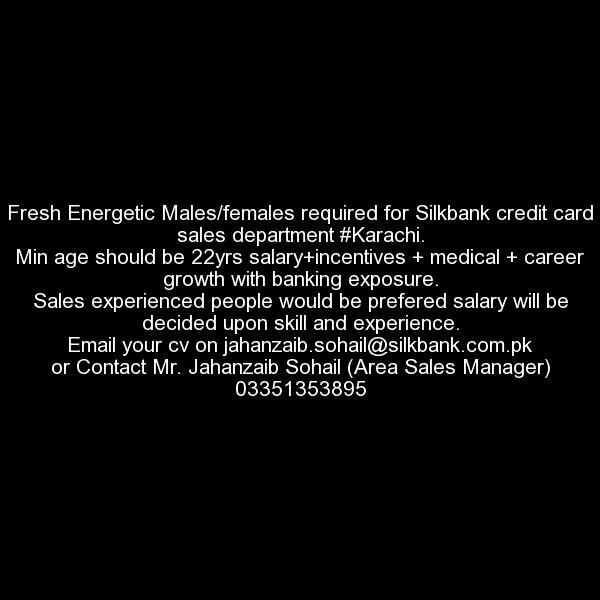 Interested candidate may send their resume to shahzadhanif@sales.efulife.com. 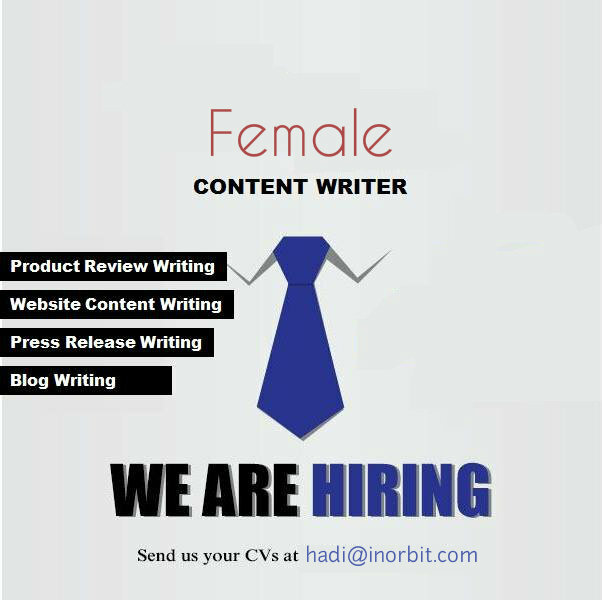 The Marketing Factory Pvt.Ltd is starting for Female Internee Program. • Developing the marketing strategy for the different company in line with company objective. • Overall responsibility for brands management and corporate identity. • Monitor and report on effectiveness of marketing communication. • Analyzing potential strategic partner relationships for different companies. Interested candidates can send their resume at sohaib@marketingfactory.me stating position applied for in the subject line. Last date 28 March 2018! Freelance Graphic Designer Required In Karachi. Experience: 6 - 12 months . UBL Fund Managers is looking for Sales & Client Relationship Manager in Karachi. Should have car/bike as need to go out of office for client meetings and closure. Interested candidates drop resume at careers@ublfunds.com with subject "sales & client relationship- Karachi"
- Basic Knowledge of Photoshop (Resizing of images). - Person would be required to answer customer queries on social media. - Upload and Maintain Facebook albums. - Track delayed deliveries and process the complains to relevant courier company. Kindly Do visit my page before applying for job. Note: Any email without essay will be rejected. If you have any queries inbox me, Do not message on page. HR Officer is require in leading pharmaceuticals group,Should have Masters or Bachelors in HRM Fresh or 1 year experience can apply plz share your resumes at adil.pervez@novamed.com.pk by mentioning position in subject line. A leading petroleum company requires “Back Office Sales Coordinator” at Lahore. Qualification: Graduate. Experience: 2-3 yrs. Job Description: The candidate will take orders from clients, process sales orders through system entry. 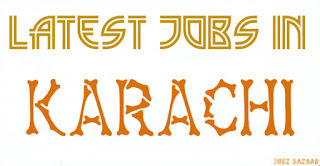 Job Skills: The candidate should be well groomed, good communication skills and have strong analytical skills. SAP and Telemarketing experience will be an advantage.Candidates meeting the above mentioned criteria can mail their resumes at muneeb@fulcrum-pk.com.FEMALE CANDIDATES ARE ENCOURAGED TO APPLY. 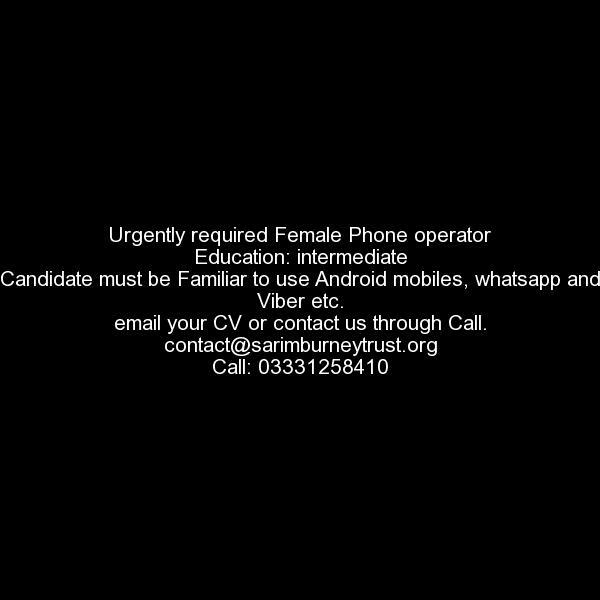 Kindly mention the position as subject. WI HR Consultant requires staff for Leading Fertilizer at Port Qasim Factory location is Port Qasim 1)Utility Engineer Candidates must be DAE/BE Mechanical with 3-5 years Utility experience. Communication Skills: Good communications skills are required. Kindly send your resume at sumayya.azmat@primehr.com.pk. Kindly mention position in subject line. 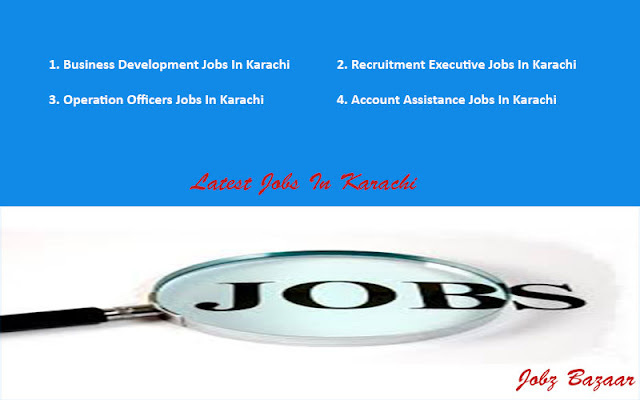 One of our client (Banking sector) is looking for competent profiles for following vacant positions in Karachi. Requirements: Min. Bachelors with 15-18 years of experience in Baking sector. Requirements: Min. Bachelors with 15-18 years of experience in FMCG sector. Interested candidates may apply with full confidence at kiran@fulcrum-pk.com mentioning position in subject line. To conceptualize wire-frames and data diagrams to create user interfaces, keeping in view of the contemporary design standards. Able to add visual and aesthetic enhancements on existing features. Able to add features in an existing product, based on the existing design theme. Experience : Minimum 6-12 months experience, Preferably in sales. Skills : Communication Skills, Interpersonal Skills, Team player, Presentation skills, Attention to details. Location: Office 407, Portway Trade Centre, Shahrah-e-Faisal Road, Sindhi Muslim Housing Society, Karachi. 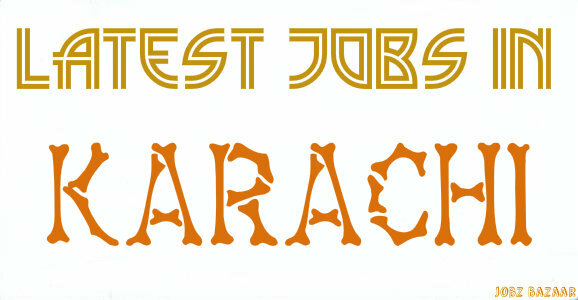 will prefer experienced candidates from nearest place. Address: Ramada Plaza, Star Avenue near PIA. ne of our client "A mineral export company required "Senior Finance Officer." Salary: 20,000 starting, after 6 month it will increased to 25,000. 98 Latest Jobs ‪#‎Karachi‬ - Apply Before 15th January 2016 .